It’s strange how CR7 didn’t retain his ability to strike the ball with that technique as well as he did at his peak of using it. It shows more on his free kicks. Dude used to be pretty deadly with the knuckle FK. United cannot dive to make sure Liverpool don’t win the league. I always through that too. Up into the age of about 29-30 he was much threatening from FK’s. Just lost it, out of no where. In Manchester and 1st half of RM he was deadly. He shut me up but up until that point his FK record last 4 years was abysmal. I don’t know what happened or how to explain it. Usually kicking gets better with age. It’s hard to explain because he practices so much, always in the gym and training ground. Very weird. jape and flyeed like this. Nah, I don’t see United diving. Too much at stake, they need that top 4. But that’s a good question. To you Manchester United fans!!!! Rather be top 4 and have Liverpool win the league orrrrrrrrrr out the top 4 and have Liverpool lose???? 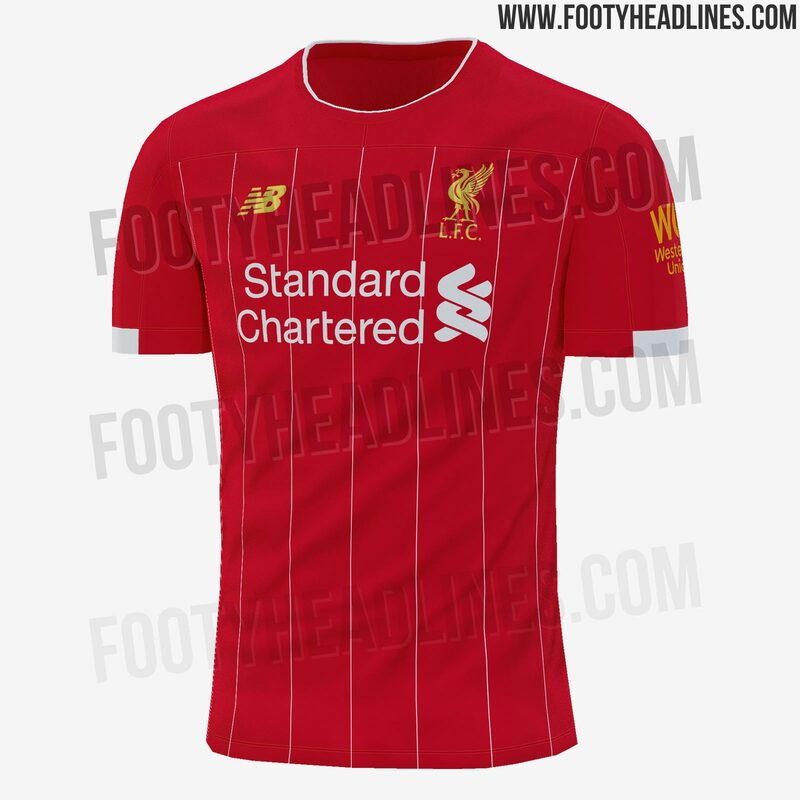 Meh, don't like how the pinstripes are cut off at the chest. The botox gets in the way of his vision when the ball isn’t moving. I'd rather see our pos neighbors win the the league then to have pos pool win it. Regardless I'm gonna be hurt. You think he’s had Botox? DoubleH and ROYGBiV like this. www.OJogo.pt a Portuguese paper (FC Porto leaning paper, must objectively said) has claimed Benfica turned down 75 million from Juventus for Felix. Take that for what it’s worth. Still think Felix should NOT join a big club. Not yet. As a Portuguese, I don’t want to see another Renato Sanches situation. @Coupé It, that reporting makes sense. If Joao Felix continues on his current trajectory, he's going to land Benfica a fee upwards of 100M euros before the lad even turns 21. I've said this before, see him more as baby Coutinho rather than the next CR7. As for JF, if he jumps now he's gonna lose a lot of playing time. Realistically, what team that can afford him would start him? Baby Coutinho could be a good comparison. Felix might be more quicker and faster. But agreed on the “next CR7” BS narrative Benfica keeps pushing. Not even close. Way too different. That media driven headline needs to stop. I know we can win out, but it's not an easy thing to do like @Armada said. I really need Wednesday to be here and Sterling to keep his form. Sane need to play too. Honestly can't see City winning the league given the form Liverpool are in. City still have Tottenham (league match) and United. I think Leicester and Watford are tough games too. Obviously they should win them but they are not the easiest of games. These next two week start will define our season most likely. Spurs at home in a high pressure 2nd leg with the semis on the line. High pressure game against spurs in the league with them fighting for their top 4 lives and game in hand against united at the swap fighting for their top 4 lives. Tough **** but I hope we can do it. I feel like if we can get through this week we should be able to retain the league l. Granted like was mentioned watford leicester and Burnley in the league won’t be push overs. looking at the schedule, there's no way Liverpool can blow their chances to win the League IMO. Just read KDB's players tribune article. Very Very good read. d3si, jape and sonoftony like this. jape and josh4523 like this. When I was at Chelsea, there was so much in the press about my relationship with José Mourinho. But the truth is that I only ever spoke to him twice. The plan was always for me to go on loan for a bit. So I went to Werder Bremen in 2012, and that season went great. When I came back to Chelsea the next summer, a few German clubs wanted to sign me. Klopp wanted me to come to Borussia Dortmund, and they played the kind of football that I enjoy. So I thought maybe Chelsea would let me go. So I thought, O.K., great. I’m in his plans. When I arrived for preseason, the vibe was good. I started two of the first four games of the season, and I thought I played O.K. Not brilliant, but pretty good. After the fourth game, that was it. I was on the bench, and I never really got a chance again. I didn’t get an explanation. I was just out of favor for some reason. And, of course, I made some mistakes myself. I was a bit naive about the way that you have to handle yourself as a Premier League footballer. What I think most fans don’t realize is that when you’re out of favor at a club, you don’t get nearly the same attention during training. At some clubs, it’s like you don’t exist anymore. If it happened to me now, it wouldn’t be a problem. I know enough to be able to train on my own and take care of myself. But when you’re 21, you don’t understand what it takes. When I got another chance to play, against Swindon Town in the Cup, I wasn’t in good shape. And then that was pretty much it for me. It took me a minute to understand what he was doing. Then he started reading the stats of the other attacking forwards — Willian, Oscar, Mata, Schürrle. And it’s like — five goals, 10 assists, whatever. I think José was a bit disappointed, but to be fair to him, I think he also understood that I absolutely needed to play. So the club ended up selling me, and there was no big problem at all. Chelsea got more than double the price they paid for me, and I got into a much better situation at Wolfsburg. "you will be 5th choice instead of 6th"
Coupé It, Thierry Henry and jape like this.